How would you like to be able to interact with your friends even though they aren’t in the same room with you? How about commuting to work in the comfort of your own car without having to drive by yourself? Or how about controlling and commanding your avatar to work from a long distance? This is not science fiction. It will happen sooner than you think. We’ve seen many indicators pointing to radical change in mobile communication. They’re not only driven by the Internet and telecommunication industry but also from the other industries such as automotive, healthcare, manufacturing and logistics, and the public sector, who are seeking to reinvent themselves. The opportunity is wide open for industries to address more market segments, evolving from voice & data centric applications to endless possibilities. Before you put yourself or someone you love in a self-driving car or allow a doctor to operate on you remotely with the help of robotics, you evaluate whether it’s safe and if you can truly rely on the complex network of transactions working in the background to make it happen. These kind of industry applications require ultra-reliable and virtual zero latency communication systems. Why are ultra-reliability and virtual zero latency so crucial? New type of services such as Augmented Reality (AR) or Virtual Reality (VR), which are based on immediate interaction with eye and body coordination, will only work if users are comfortable with the speed of response they get from the system. The lag in response to movement and visual representation can cause the user "cyber sickness". The more latency users experience, the harder for them to be comfortable with the system and eventually turns them off the service. This represents a big loss to business operators or service providers. User perception is paramount, and it will be harder to attract them back to the service following a negative experience. hundreds of millions of dollars to eliminate latency between exchanges around the world. Why? Because time is money, split second delays in trading time could mean missing an opportunity to buy or sell at attractive prices. For the Autonomous Vehicle system, let’s presume we have a system with 100 m sec delay, and a car running at 120 km/hr. If the car observes danger, it would travel over 3 meters further given this delay before applying the brakes. Machines don’t experience cyber sickness but will perform poorly, increasing the safety risk. In the self-driving car use case, larger buffers between cars are needed since the car to car and car to infrastructure communication is too slow. In industrial networking with its highly interconnected production process communications, anything beyond virtual zero latency will simply not work. Production lines will stall leading to lost revenue. Factories will not able to run systematically, in a coordinated manner and may even pose a danger to workers on the factory floor. Many services such as remote robotics, are dependent on the images received from cameras and haptic responses to command the next remote robot actions. If the image or haptic response the user received was wrong or unreliable, the next command issued by the user to the remote robot could be wrong too. What happens if the user is a doctor performing remote surgery using remote robotics? Are you willing to be a patient in that operating room? Or in the case of remote diagnosis, would you take medicine your doctor prescribed to you based on a remote diagnosis report that was sent to him via unreliable communication lines? How do we build an ultra-reliable, virtual zero latency system? 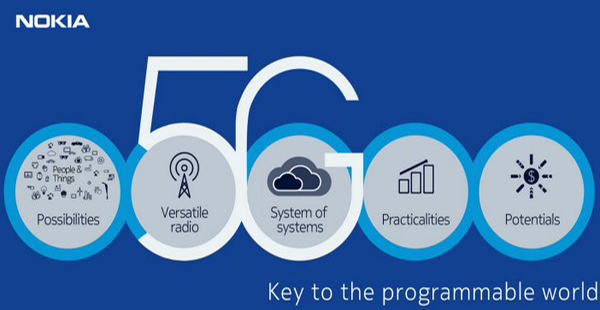 5G will address important aspects of mission critical communication for services with extreme requirements on availability, latency and reliability. 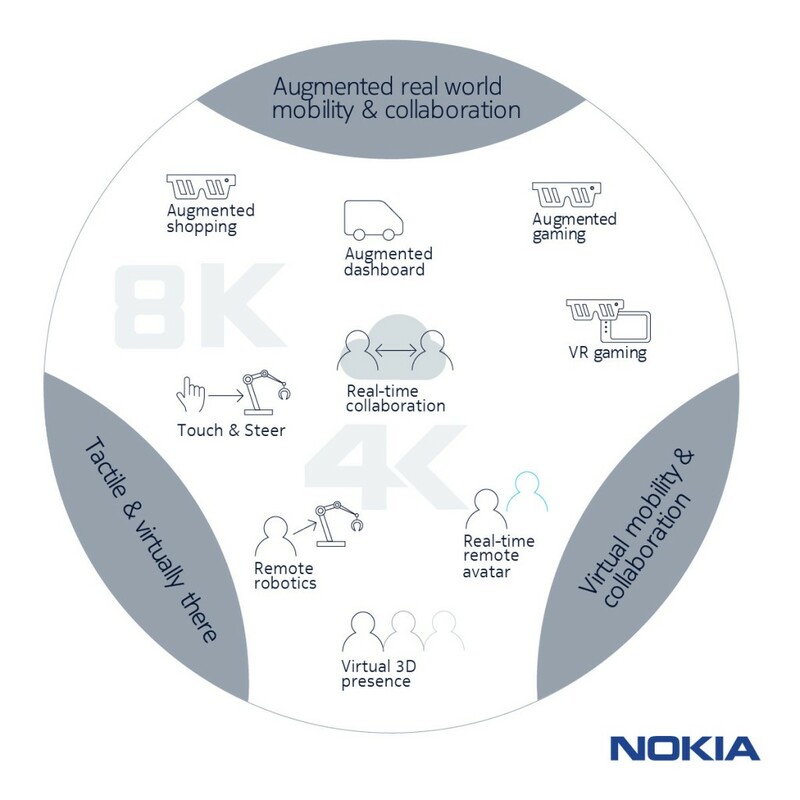 Nokia has already showcased various 5G technologies and is working to make the 5G ultra-reliability, low latency system a reality. Solutions in radio access, programmable 5G multi-service architecture, and device-to-device communication are proposed. Discover more about the Mission Critical Communication drivers, use cases and key technologies to build ultra-reliability and virtual zero latency 5G system here.